* Price shown excludes optional accessories ($1300), freight ($600), setup ($400), HST (13%) and License ($38). 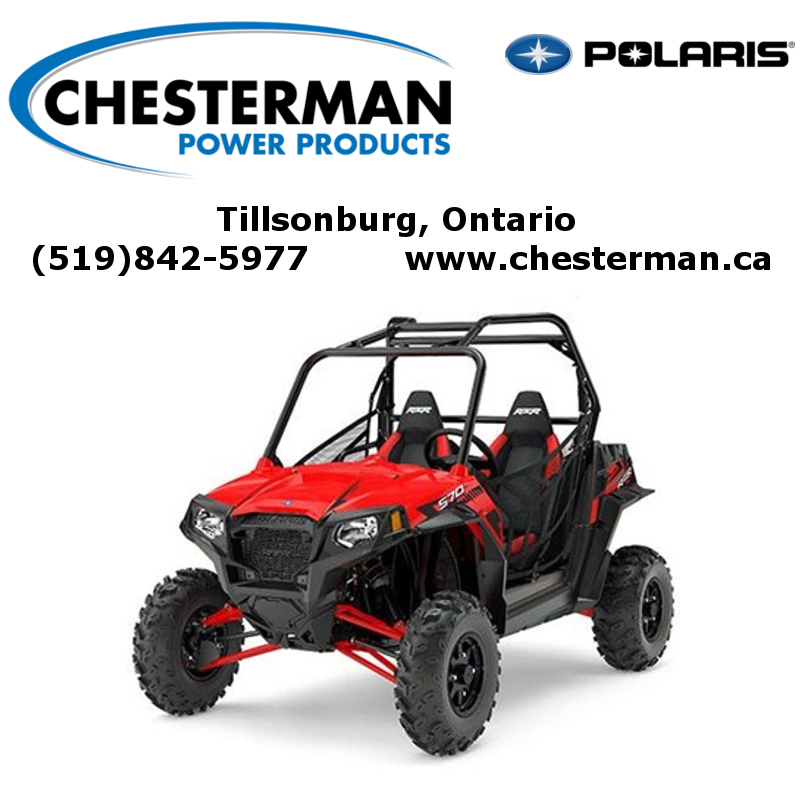 Polaris ProStar® 570 Engine: The RZR® S 570 is powered by the proven ProStar® 570 engine which features 4 valves and a dual overhead cam design. 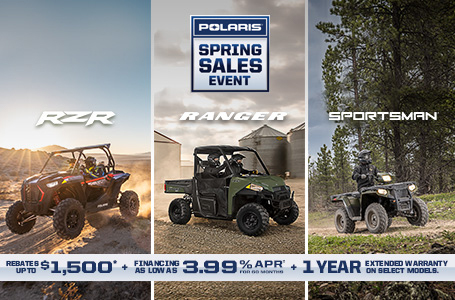 Optimized for the RZR® S 570, this ProStar® engine delivers the power of a twin cylinder but the efficiency of a single into the RZR® S platform. Stable Suspension for the Trail: The front and rear dual A-Arm suspension system with a rear stabilizer bar creates a stable 60" stance for the ultimate in trail performance, with 12" of front travel and 12.5" in the rear. 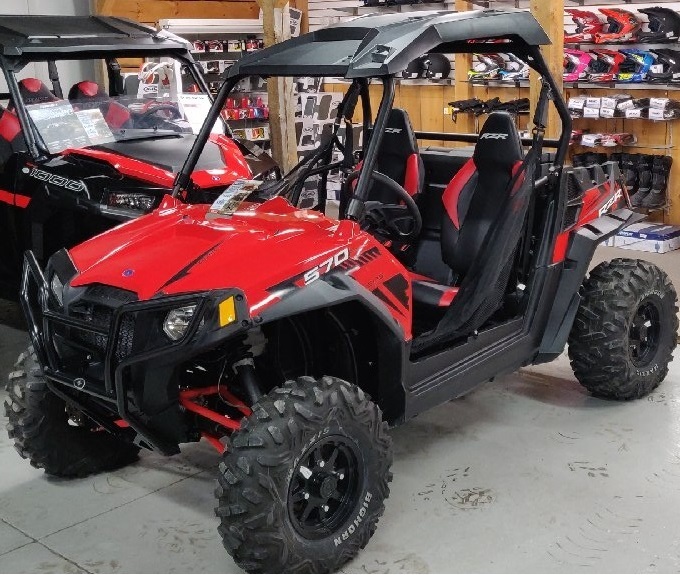 Long 81" Wheelbase, High Ground Clearance: A long 81" wheelbase gives you a smooth ride and a full 12" ground clearance allows you to navigate over the rocky trails and everything they throw at you with confidence.